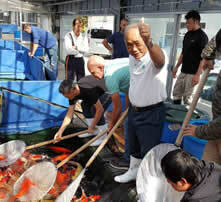 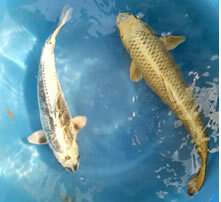 Back-track to 2003 when we started a huge koi farm in Tanjong Sedili, Johor, 45 minutes drive from Kota Tinggi town. 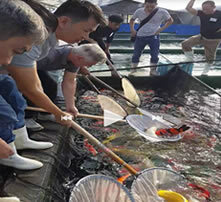 As part of our marketing effort for the koi farm, the present Taman Johor retail outlet was set up in July 2006 selling both koi from the farm and imported from Japan. 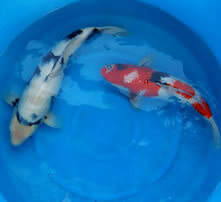 Around 2007, koi exportation from Malaysia to Europe was banned for a year by the European Union. 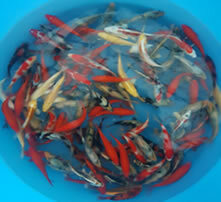 December 2009, we decided to shut down Tanjong Sedili farm and continue with this retail outlet, promoting exclusively koi imported from Japan. 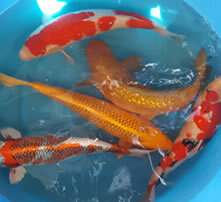 From our humble beginning in 2006 selling koi, we soon embark on designing and building koi ponds, more new and better pond accessories were added to complement our koi pond activities. 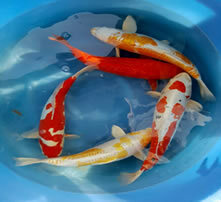 As koi pond requires regular servicing just like a motor vehicle, we soon started maintenance and service of koi ponds for our customers. 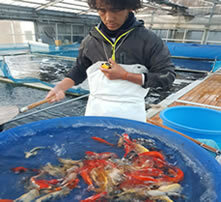 We have been popular! 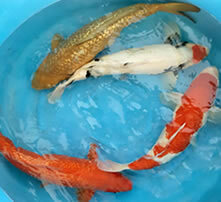 Koi Hotel to accommodate customers’ koi at our retail outlet and house calls to treat customer’s sick koi were also added. 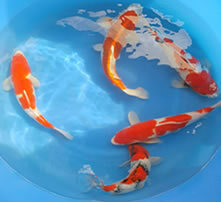 Soon we became a one-stop location for koi. 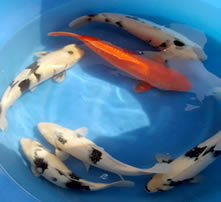 Ogata baby koi new arrival (Size: 4" to 10") ready for selection and purchase from Tuesday, 22 January 2019. 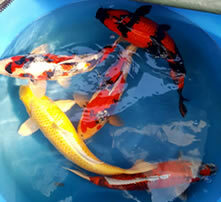 Many nice Kohaku (super red) still available for selection.